It seems like a win win. 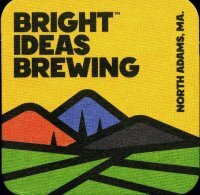 Bright Ideas Brewing offers uniqely crafted beer, ale and root beer in a high concept industrial space on the Mass MoCA campus. On every level from eccnetric hours, to noise levels and a flub on food it's time to rethink the business plan. Many recall the fine cuisine of Chef Gerhard Schmid from his Gateways Inn in Lenox in the late â€˜70s and â€˜80s, and the Devonfield Inn, formerly known as Haus Andreas in Lee, from 1980-1994. He is now presiding over the kitchen of Haflinger Haus an elegant mansion in Adams, Mass. Some 40 members of the Berkshire International Club gathered there to enjoy his special Octoberfest menu.